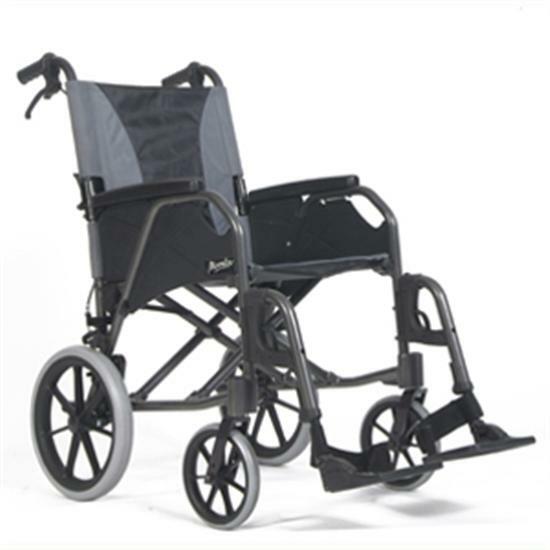 The Breezy Moonlite transit wheelchair is an extremely popular model, and with very good reason. It's a very good, well-designed chair with a surprisingly small price tag. You can be sure this is a real quality option, as it has- unlike almost all transit wheelchairs of this type- passed crash tests. It's safe, it's strong, and it handles well. There is a seat belt for safety, attendant brakes, and all-round excellent quality of manufacturing and materials. The rear wheels are solid, but thanks to a lightweight aluminium frame the Breezy Moonlight wheelchair still weights less than 12kg (about 26lb). It folds down neatly for storage or transport. 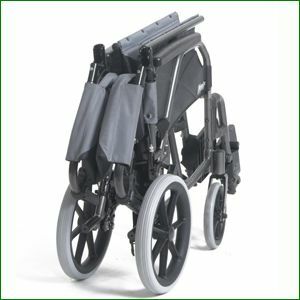 A lovely lightweight comfortable wheelchair that fits in the car easily for when I take my elderly Father shopping .